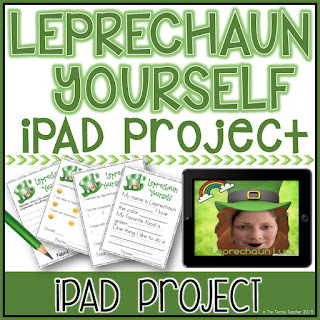 Leprechaun Yourself iPad Project for St. Patrick's Day | The Techie Teacher® . Last week a kindergarten teacher set up a lesson with me for the beginning of March. She had a vision to have her kinders turn into leprechauns and complete a writing activity. The first thing that popped into my mind were those little elves from the "Elf Yourself" app. 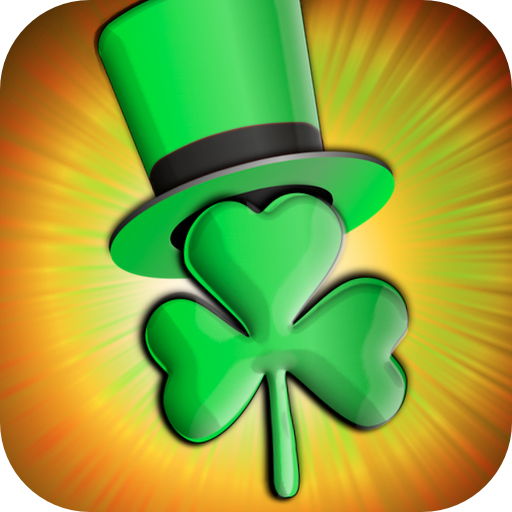 I wondered if there was an app like that for leprechauns...sure enough, there IS! We decided that we were going to have her students complete a pre-writing activity before I came in. They filled out a template that can be found in my Leprechaun Yourself iPad Project pack that is below. 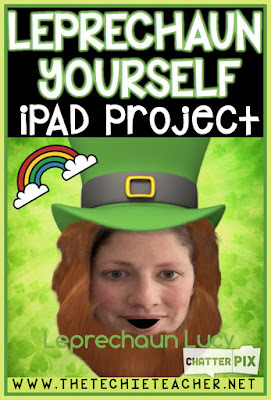 The lesson involving iPads had students first use the FREE Leprechaun Yourself App to take their picture and then turn themselves into a leprechaun. This app automatically saves your picture to the Camera Roll. Next, they pulled their picture into the app, Chatterpix Kids, and and recorded themselves reading their sentences they completed on the student recording sheet during the pre-writing activity. Leprechaun Yourself from Julie on Vimeo. If you teach older kids, you could have them write their own sentences to record. Just remember, Chatterpix Kid only allows a 30 second recording time. If you need a longer recording, have students use the free app, FaceTalker. This is a GREAT creative writing and fluency activity. I love this! I need you to send all of your techie genius my way! You always have such wonderful ideas! I love your ideas and products!!! My students and I always enjoy the activities. I was wondering if you have more google activities similar to your ipad leprechaun activity above. I really look forward to your posts....so glad I follow you on FB.